Margie Hammer, Esquire | Pittsburgh Attorneys Lieber Hammer Huber and Paul, P.C. In 1981, Margie Hammer and her husband, Jim Lieber, founded Lieber & Hammer, P.C. (now Lieber Hammer Huber and Paul, P.C.). Since that time, Ms. Hammer has capably represented over a thousand clients and been recognized as one of Pittsburgh’s leaders in all areas of family law. Ms. Hammer is a 1972 Phi Beta Kappa graduate of the University of Wisconsin, where she majored in Mathematics and Psychology. She graduated from the University of Pennsylvania Law School in 1975 and received the American Jurisprudence Prize. Subsequently she worked as a staff attorney for Neighborhood Legal Services (NLS) in Pittsburgh and Delaware County (PA) Legal Services, where she performed the legal work to implement a bilingual education program in the Chester, PA Public Schools. At Lieber Hammer Huber and Paul, Ms. Hammer has developed widely-recognized expertise in the complex financial aspects of divorce, support, alimony, and equitable distribution. An exceptionally experienced trial attorney, she is able to locate and value assets, analyze tax and pension issues, and probe all issues of marital estates. She has represented clients in a vast array of serious and difficult cases, including protection from abuse, relocation, multi-state and international matters, complex support, relocation of parents, educational support and maintenance of children, and Qualified Domestic Relation Orders (QDROs). 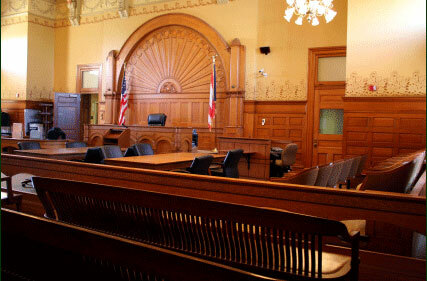 Her clients have prevailed at all levels of Pennsylvania courts, from masters hearings, to trials, and through appeals, including to the Pennsylvania Supreme Court. Throughout Western Pennsylvania, she is recognized by her peers, clients, and courts for her dedication, experience, financial acumen, and superior work ethic. After more than three decades of practice at the highest levels, she is among the most formidable advocates and knowledgeable counselors in her field. Ms. Hammer can be reached by e-mail at this address.